Win 5 polishes from Color club! Little Miss Nailpolish is currently having an international giveaway on her blog, where you can win 5 Color club polishes from the Winter Affair collection! 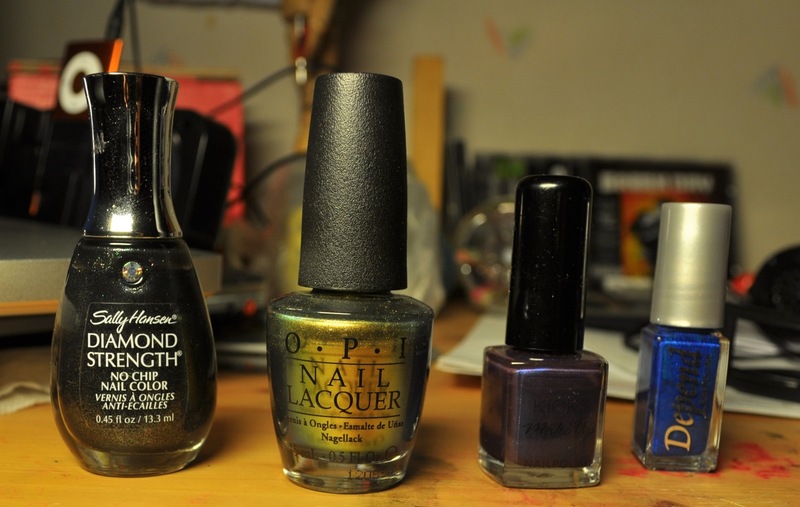 Picture of the polishes (taken from the original post)! They are absolutely beautiful so if you want to participate, check out the conditions on her post here! OPI liquid sand in Can’t Let Go. As I mentioned here, the reviews are finally written! This is the second one, click here to see Lumene blueberry long-wear crystal eyeshadow in archipelago‘s review. As the OPI fan that I am, I decided that I would definitly try one of the shades! There are four so-called “stage”-polishes and four “studio”-polishes! The stage-ones being liquid sands and studio-ones being two shimmers, a glitter- and a shiny polish. Took a picture of all the polishes in the collection while I was in Kicks today. I went with Can’t Let Go, a grape purple shade since I absolutely adore the color (might be the side of me that loves Grape soda that is speaking). The texture is what makes this unique. 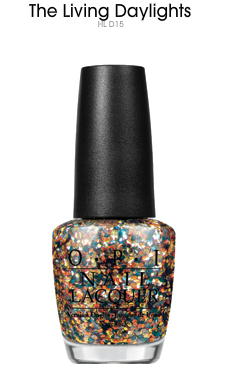 While the base become a matt, gritty texture when dry, the typical OPI hexagon glitters and tiny glitters breaks it with their sparkle. I like the shade I picked but if I could, I probably would’ve chosen The impossible (but it was sold out). The color is very pretty and the polish has star-shaped glitters in it! I’ve worn it for about three days now and it hasn’t cracked along the edges but I’ve had to reapply on the sides since tiny pieces has fallen off! It’s not that annoying though. 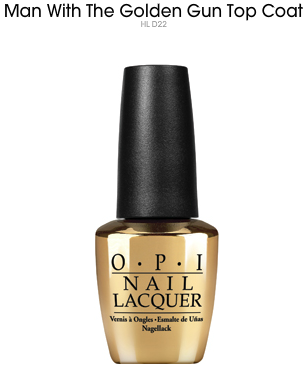 Looking forward to what OPI will come up with next! Water marble nails: Rorange + Make-up of the day: Santa’s little helper! I chose red and orange because it matches my Santa hat, “Ho ho ho” doggy/kitty-collar and scarf! 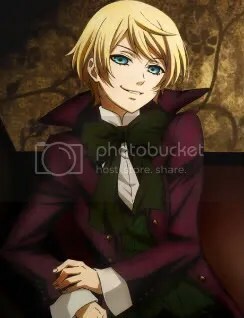 I have to go now so I’ll see you later! Nordic cap of Sweden haul. Hi guys! Today I bought some Nordic Cap of Sweden products! Never seen them before but they were so cheap (10 SEK/1.50 USD/1.15 EURO)… so I got ten hehe >w< The sad thing about these products is that they don’t have any names but I’ll still but write down what they call the colors on their website. We’ll start with the STARNAILS nailpolishes! From the left: Polish, Red Pink, Orange, Beige and Green. ‘Red Pink’ has a red base with a really intense pink shimmer. ‘Orange’ is a bright pumpkin color. ‘Green’ is actually a bright turquoise! Conclusion: I like these alot. For being so cheap I didn’t expect much but they are good. They could’ve been a liiittle more creative with the names. When dried they have a very plastic/rubbery feel to them (don’t know if me gusta). I got three out of the five available (the other two were brownish and I don’t really like brown on my lips). The colors are called Red, Pink and Purple. The first two are the colors they say they are but the “purple” one is a dark red. Now, what I think of them… tbh they are really dry and super shimmery so they remind me of putting eyeshadow on you lips. When I have it on I got the instant feeling of “grandma” lips :/ Which isn’t good. Putting lipgloss on it makes a tiny different but I’ll see if I can work it haha. Conclusion: Not so bright. Like putting eyeshadow on your lips. Very shimmery. They smell good though. I don’t really have much to say about the lip glosses. They smell like the lipsticks and they do their job. The red one is just transparent while the light pink one has little glitter in it. That is all I bought yesterday. Originally this post was supposed to get published yesterday but it got deleted. Q_Q It was a pain trying to remember everything I wrote but I hope you liked it! Det första som fick min uppmärksamhet var KICKS julkalender. Konceptet: 50% på en utvald produkt varje dag under December till Julafton. Och erbjudandet gäller så klart bara just den dagen! Låter riktigt bra eller hur? Det som fick mig att bli riktigt glad är att erbjudandet den nionde Dec. är Aussie 3 Minute Miracle 250 ml. Jag har velat testa den ganska länge och jag trodde bara den fanns på nätet för 250 kr (letade en gång men nu märker jag att om jag googlar produkten så är första sidan KICKS… vet inte hur jag gjorde första gången). Har bara hört riktigt bra saker om den och det blir ett inköp den nionde. Den går på 63 kr (ord. 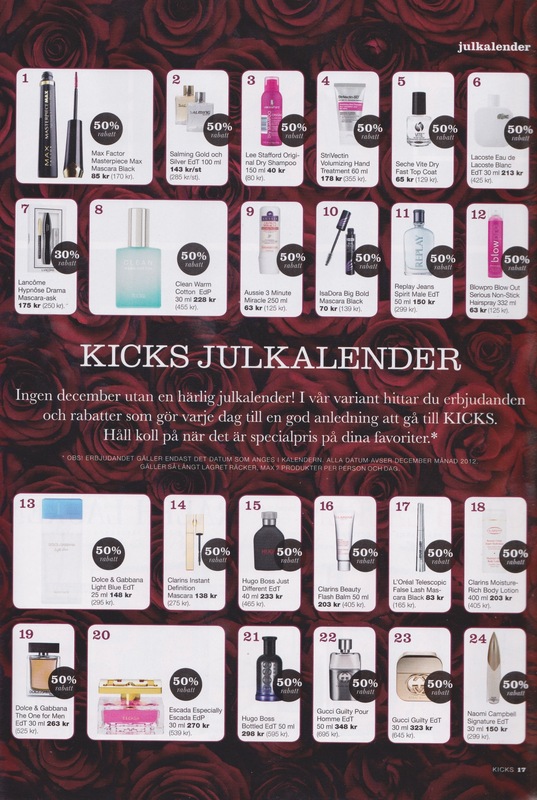 pris 125 kr)! Over-all är det inte något mer som låter lockande (för mig då) förutom kanske Blowpro Blow Out Serious Non-stick Hairspray 332 ml (Tolfte Dec.). Det som kan nämnas är att det är tolv parfymer i kalendern och parfymer är inte precis billiga så är man sugen så kan man alltid kolla om någon faller en i smaken. Pris skillnaderna ser riktigt drastiska ut med 50% rabatt. Förutom parfymer (som faktiskt står för hälften av kalendern) finns ett antal mascaror, krämer, (ett) nagellack, (ett) torr schampo och såklart de två produkter jag nämde. Klicka på bilden för att läsa och se produkterna bättre! Sista erbjudandet som jag kommer dela med mig av gäller bara för medlemmar. Och det involverar mitt favorit nagellacksmärke *trumvirvel (om du nu inte läst min blog innan)* OPI ❤ 20 % rabatt om du är medlem t.o.m. 24 dec. Mycket trevligt indeed. Blir nog ett inköp… eller två (vi får se vad budgeten säger). Två vackra lack från OPI’s nya kollektion (i samband med filmen) S K Y F A L L 007. Ha en trevlig dag, see ya! It’s going to rain today so eyeshadow is a no-no for me haha. Hello everyone! ^^ This is a review of KICKS own brand of nailpolishes in LADY BLUE. When I first looked at the bottle the base color looked like a dark shade of brown but it’s actually purple, then comes the beautiful navy blue shine that made me buy it. The color outside the bottle isn’t really wow-ing me but it could be a little more fun alternative to black nails because the color is very dark but in sunlight you’ll get a blue shimmer. I haven’t worn it for very long so unfortunately I don’t know how long it’ll stay on. Just spotted the lizard! and Subway green review. If you have read my previous posts you’ll know that I bought the OPI one first. I bought it because I was totally blown away by all the colors in one single bottle. Green at the sides, gold in the middle and blue in the bottom. That’s because when the color is in the light it’s gold but in less light it’s green ^^ I have to admit that I got a little disappointed at first because when I tried it on, it was all sunny outside which made my nails gold without shades. Then I realised the light theory and I loved it. OPI dries very fast (which has made me kind of spoiled :<) and stays on for a long time! Although the price is a little much (almost criminal with all the lovely colors they have) I’m fine with paying for the ones I want the most because of the beautiful colors and quality. I never tried the cracked nails until now because when the trend started I thought that the nailpolish was so expensive… and I didn’t have any nails! XD So when they were on sale I thought “why not?” and bought SUBWAY GREEN. It was the only color on sale and that’s probably because the color is kind of harsh in the bottle but on the nails it’s just a “normal” green color. It doesn’t take that long to dry (just a couple of seconds longer than OPI) and the combo fits nicely together ^^ I payed half the price for this one and I’m really satisfied. Isn’t really from a collection but… you know *I WANT! :D*. Now on to the next subject! It seems like wherever I turn I get my daily dose of piercing talk. I can totally relate to what Em said. Once I turned 18, that’s when the f*cking wheel started spinning for real :3 Still I don’t do anything without my parents knowing… I feel that that would be very disrespectful.